WASHINGTON, September 14, 2004 – In Arlington National Cemetery there's a gravesite marking U.S. Army First Lieutenant Lawrence E. Lilly's passage from this world to the next. However, the lieutenant's remains aren't buried there, explained Sue Harvey, Lilly's sister. And therein lies the tale. 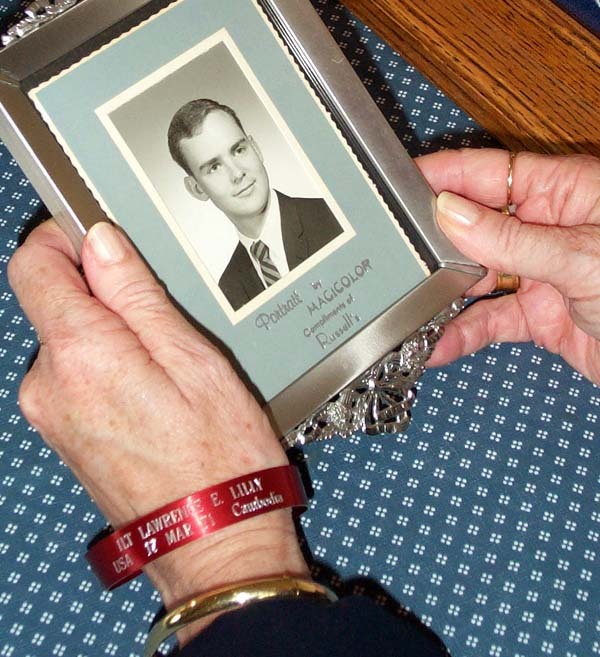 Harvey, 57, an Alexandria, Virginia, resident and Army employee, believes her brother's remains are probably located somewhere in Cambodia, where he was reported killed in action on March 17, 1971, during the Vietnam War. Harvey said her brother was co-piloting a Cobra helicopter gunship reportedly on a secret mission into Cambodia at the time of his death. Enemy ground fire brought down the helicopter, she said, and her 25-year-old brother and the pilot left the stricken machine. What happened next in that Cambodian rice paddy, Harvey said, has haunted her for almost 35 years. Lilly and the pilot had exited, unharmed, on opposite sides of the downed aircraft, she said, as enemy troops approached and began to direct intense small-arms fire at the soldiers and at another U.S. helicopter that was attempting to rescue the pair. The pilot was able to use the Cobra to shield himself from enemy gunfire, Harvey said, while her brother was caught out in the open and was reportedly shot and wounded. The Cobra pilot, she noted, was rescued. The following day another helicopter rescue team was dispatched to the area where her brother was last seen, Harvey noted. Although some accounts reported rescuers had "seen a body," presumably that of her brother, Harvey said his remains were never found. 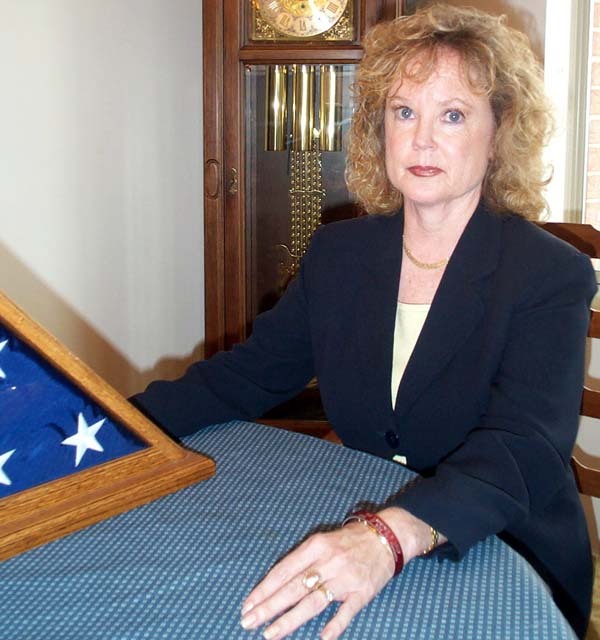 About six months later, she said the Army listed her brother as killed in action. The U.S. government at that time wouldn't disclose that the military was operating in Cambodia. Because of the sensitivities of her brother's mission, Harvey said, few details were made available to her family. He was listed as killed in action and that, she said, was basically that. "It was a different time. We weren't even 'officially' in Cambodia," Harvey pointed out, noting her family privately coped with Lawrence's death. The only public account her family had of her brother's situation, she said, "was a three-line newspaper clipping" from a local paper noting he was missing in action. However, during the late 1980s, Harvey was working for the Army when she -- by accident -- came upon more information about her brother. A thick Army file listed more details about her brother's mission, she noted, as well as subsequent operations undertaken to find him. "I was stunned," Harvey recalled, noting that was when she'd realized "the military had a real commitment to soldiers, even though they didn't make it home." Later, Harvey came into contact with a DoD organization that specializes in prisoner-of-war and missing-in-action issues, now known as the Defense Prisoner of War/Missing Personnel Office. DPMO personnel, she said, have over the years continued to make visits to the Cambodian site where her brother was last seen in efforts to find his remains. "They are even going so far as to interview individuals from the Cambodian village nearby to see if they can recall any of the events," Harvey noted. The DPMO office, Harvey noted, continues to update her family about "anything that is new that occurs on my brother's case." Harvey, the daughter of a retired Air Force colonel and pilot who'd flown missions during World War II, the Berlin Airlift, the Korean War and Vietnam, said she is grateful that the U.S. government and the American public haven't forgotten about her brother, "because they're interested in the story you're telling them." Harvey said her brother's name is inscribed onto the Vietnam Veterans Memorial in Washington. Her family's pain caused by his loss, she noted, "has really never gone away" after almost 35 years. "It would help bring closure," she acknowledged, if someday her brother's remains were found in Cambodia and returned to the family. "It would be special to have a ceremony for him," she concluded. Sue Harvey looks at a picture of her brother, Army 1st Lt. Lawrence E. Lilly, who was reported killed in Cambodia in 1971. Harvey wears a red wrist bracelet bearing her brother's name.